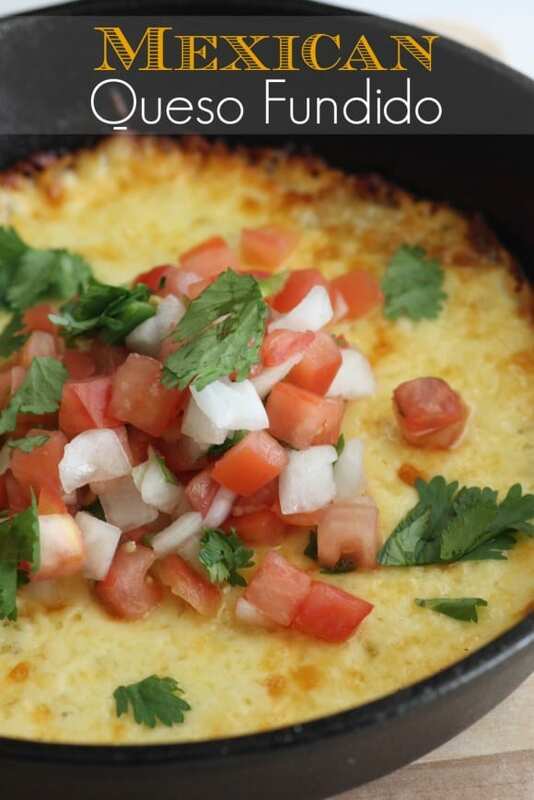 I have discovered the perfect cheese dip to serve at our next party... Mexican queso fundido. It's beyond delicious! We're big college football fans at our house, so this is what we'll be serving at our fall football fiesta. 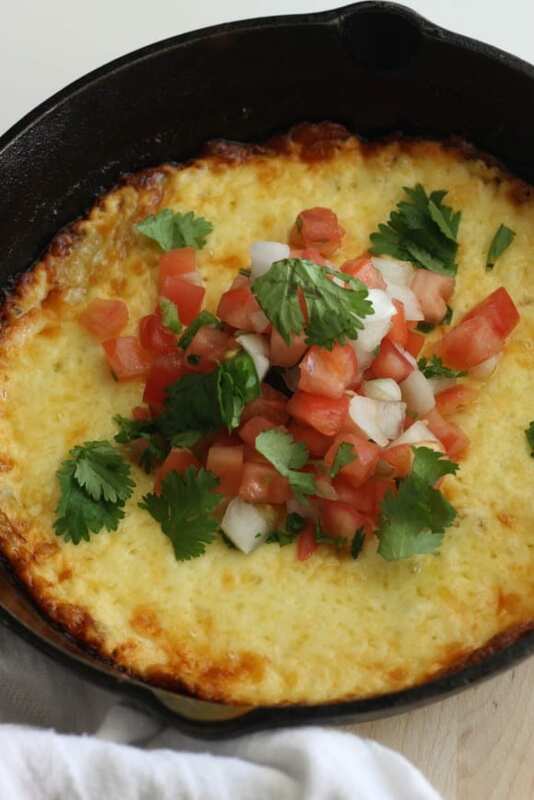 This Mexican queso fundido recipe is so straight forward and a snap to make. You can make it in about fifteen minutes. It's both cheesy and oniony, and topping it with pico de gallo and fresh cilantro gives it real brightness. Grate the queso quesadilla. You can substitute Oaxacan cheese, mozzarella, or other good melting cheese. Heat a skillet with 1 teaspoon of vegetable oil. Dice the onion, and cook until the onions start to turn transparent. Add the garlic and cook for another minute. 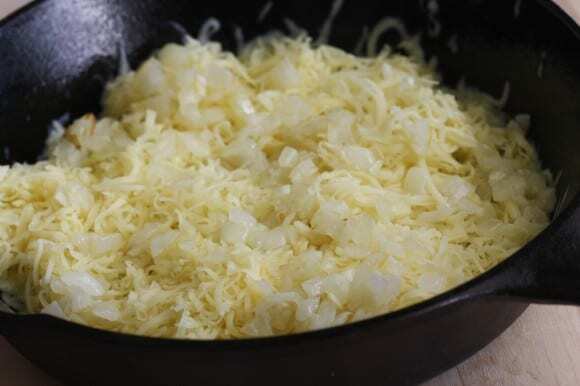 Add half the grated cheese to a lightly oiled small cast iron skillet or small casserole dish. Spread the sauteed onion and garlic in a layer over the cheese. Add the rest of the cheese on top. Bake for about 10-12 minutes, until the cheese melts. The time will vary depending how deep the cheese is in your dish or pan. Pour off any excess oil, then top with some pico de gallo and cilantro.